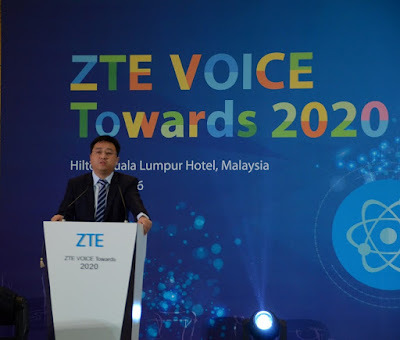 ZTE Corporation, a major international provider of telecommunications, enterprise and consumer technology solutions for mobile Internet, recently underlined its commitment to help Malaysian businesses progress towards a digital economy as it unveiled its latest M-ICT 2.0 strategy at the inaugural ZTE VOICE Towards 2020 Summit. As network data traffic is rapidly growing in these years, operators in Malaysia face a number of challenges when converting from a traditional service model to a data service and the requirement for new technologies and new service has greatly increased. During the summit ZTE showcased its latest products and solutions to key business leaders and owners that addresses five key trends that ZTE predicts will influence and determine future industrial development over the next four years. Under the acronym VOICE, the five trends are Virtuality, Openness, Intelligence, Cloudification, and Internet of Everything. To exemplify VOICE and its fundamental elements in driving digital growth and transformation, ZTE exhibited its Pre-5G Massive MIMO and Gigabyte Access solution, a flagship product of its Pre-5G offering and winners of the “Best Mobile Technology Breakthrough Award" and "CTO Choice Award” at the Mobile World Congress 2016. In a commercial network, the single-carrier peak rate of the Pre-5G Massive MIMO technology can exceed 400 Mbps, therefore increasing spectral efficiency by four to six times as compared to that of existing 4G networks. Fully compatible with existing 4G terminals, the Pre-5G Massive MIMO technology enables users to continue enjoying a high-speed broadband experience without changing their terminals. Besides, ZTE also held the Gigabyte access live Demo in the showcase. With the technical combination of FDD 5CC (total 100Mhz spectrum) and 4*4 MIMO as well as 256QAM modulation, the peak speed for a single cell reached steadily at 1.75Gbps. ZTE highlighted its Big Video 4K+ solution, which provides intelligent operation and intelligent maintenance based on a big data platform. With powerful data mining and analysis, management, and scalability, the solution offers customers a visualized online maintenance management (OMM) portal and end-to-end intelligent fault location to improve terminal users’ video experience. Meanwhile, the intelligent operation platform supports precision marketing, targeted advertising, personalized EPG, as well as providing data support for innovative digital services required by industries such as medical care, education and travel. 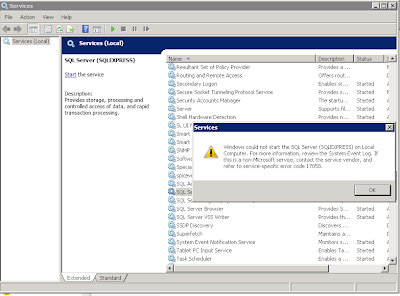 The solution's big data based multi-dimension user analysis and modelling capability provides reference for users when making operation-related decisions. ZTE showcased its ElasticNet 3.0 elastic network solution, including its perspective on future-oriented network re-architecture and the practice of its massive application, which receives widespread interest from the industry. Within ElasticNet 3.0 ZTE proposes its perspective on future-oriented network re-architecture, which can be concluded as ‘one centre, dual-engines and triple-layer re-architecture’. The network will be re-architected to a cloud virtual data center (vDC)-centric next generation telecom infrastructure and facilitated by the technological advantages of software defined networking (SDN) and network function virtualisation (NFV). This will re-define the architecture of cloudified telecom network and achieve the re-architecture of infrastructure layer, business logic layer and orchestration layer (triple-layer re-architecture). Building on their success in telecommunications, enterprise and consumer technology solutions, ZTE Corporation has been expanding their business in the smartphone market, having invested approximately 15% of total profits annually on research and development to design innovative products that enhance consumer lifestyles. The successful launch of Blade V7 Series in May 2016 this year in Malaysia, which saw more than 20,000 units being sold in less than a month, also the market reception of flagship ZTE AXON 7 series which in collaboration with DOLBY ATMOS, has been quite remarkable. It has been named the winner of the 2016 IFA Product Technical Innovation Awards – “Breakthrough in Smartphone Audio Innovation” by IDG and German Industry and Commerce Ltd. It underlined ZTE’s presence in both the international and local markets with its range of premium yet affordable smartphones. To access the ‘M-ICT 2.0: VOICE of Future’ whitepaper, please visit http://bit.ly/2fY4dSh or go to the official ZTE Corporation website at http://www.zte.com.cn/.